There are still 22 months to go until the 2020 presidential election, but the competition to *maybe* replace Donald Trump in the White House is already stiff. 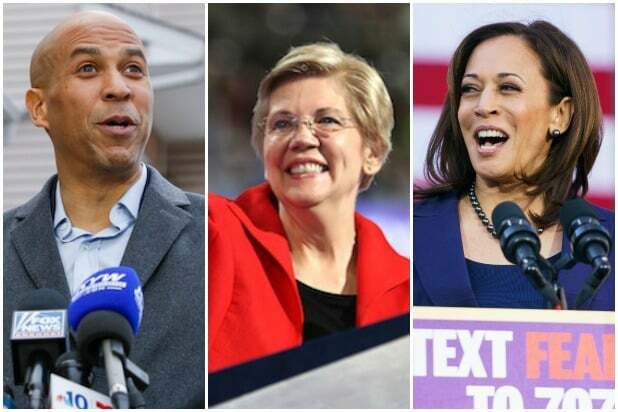 The list already includes senators Cory Booker, Kamala Harris, Elizabeth Warren and Kirsten Gillibrand, former Obama cabinet member Julián Castro and Rep. Tulsi Gabbard. And that's just people who have officially declared -- some high profile politicians and wannabes are teasing runs too. It's a lot to keep track of, but we're here to help. Here's TheWrap's list of everyone who has announced they are running for president so far. 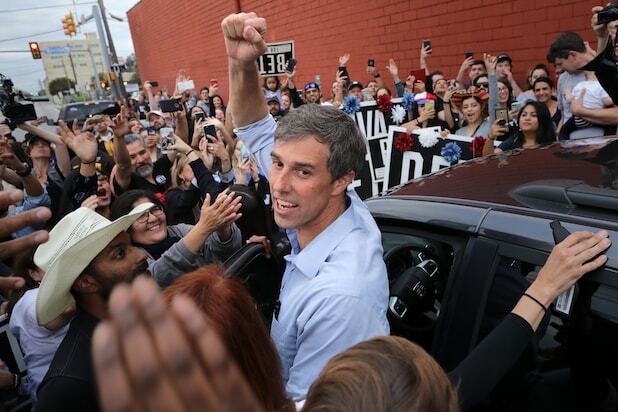 Beto O'Rourke - Democratic Party The former congressman from El Paso, Texas, announced he is running for president on March 14, saying: "This is a defining moment of truth for this country and for every single one of us," and that the challenges have never been greater. "They will either consume us, or they will afford us the greatest opportunity to unleash the genius of the United States of America," he added. O'Rourke has already made a name for himself as a record-breaking fundraiser, the subject of an HBO documentary and a favorite among Hollywood elite. 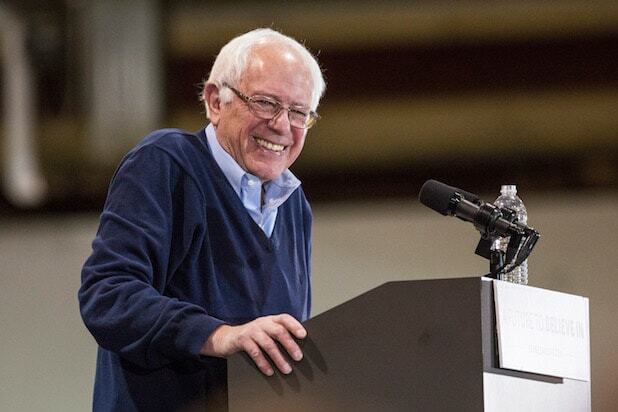 Bernie SandersDemocratic Party Bernie Sanders, the runner-up in the 2016 contest for the Democratic nomination, has recorded a campaign video in which he says he is running for president in 2020, according to a report in Politico. Elizabeth Warren -Democratic Party The Massachusetts Senator formally announced her candidacy on Feb. 9 at a rally in her home state, and shortly after followed up with a tweet that read: "I believe in an America of opportunity. My daddy ended up as a janitor, but his little girl got the chance to be a public school teacher, a college professor, a United States Senator – and a candidate for President of the United States. #Warren2020." Tulsi Gabbard -Democratic Party Gabbard, a U.S. Representative for Hawaii's 2nd congressional district, endorsed Bernie Sanders in 2016, but in 2020 she's all-in on herself. She told CNN's Van Jones on Jan. 12 that she intends to run, and would make "a formal announcement within the next week." That announcement hasn't happened yet, but her Twitter account is bedecked with campaign branding. Julián Castro -Democratic Party The former mayor of San Antonio -- and former Obama cabinet member -- entered the presidential race on Jan. 12. Kirsten Gillibrand -Democratic Party The Senator from New York announced her bid Tuesday, Jan. 15 on "The Late Show With Stephen Colbert." Kamala Harris -Democratic Party The California senator announced her bid for the presidency on Martin Luther King Jr. Day, Jan. 21, while appearing on ABC’s "Good Morning America." As a possible indication of her chances, her recent CNN town hall was the network's highest rated single presidential candidate town hall ever. Pete Buttegieg -Democratic Party The 37-year-old mayor of South Bend, Indiana, announced his presidential exploratory committee on Jan. 23. If he prevails in next year's primary, he'll be the first openly gay presidential nominee from a major political party. Cory Booker -Democratic Party The New Jersey senator and former mayor of Newark formally tossed his name into the presidential hat on Feb. 1, the first day of Black History Month. Marianne Williamson -Democratic Party The "Healing the Soul of America" author and founder of Project Angel Food announced her candidacy during a political rally at the Saban Theater in Los Angeles on Jan. 28. Andrew Yang -Democratic Party The entrepreneur and son of immigrant parents from Taiwan became a contender a year ago, telling The New York Times that he will advocate for a universal basic income. John Delaney -- Democratic Party The U.S. Representative for Maryland's 6th district declared back in July 2017. He says he'll "end reckless trade wars and expand trade," "create a universal health care system" and "launch a national AI strategy." Amy Klobuchar -Democratic Party The Minnesota Democrat, first elected to the U.S. Senate in 2006, announced her bid on Feb. 10, 2019, saying that she wanted to work for "everyone who wanted their work recognized." Honorable Mention: Joe Biden -Democratic Party The former Obama VP hasn't formally declared or even launched an exploratory committee, but he's been telling anyone who'll listen that he'd be the most qualified candidate for months. To win, he'll have to contend not only with his opponents, but also his own record. Honorable Mention: Howard Schultz -Independent Like Biden, the former Starbucks CEO hasn't formally declared, but he's teased a possible run as an independent on the book tour for his autobiography. Given widespread fears that a third party candidate could help ensure a Trump victory, so far Schultz's hypothetical candidacy isn't going over well, according to a recent poll. Schultz is a co-founder of the venture capital firm Maveron, which is an investor in TheWrap.